So you are ready to add your wax !!! 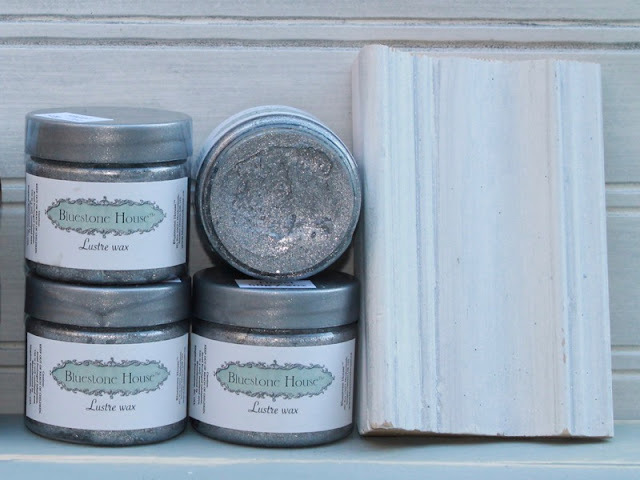 Once you have painted your piece and it is completely dry, sanded and distressed to a smooth finish, usually the same day with Bluestone House™ Chalky Patina, or after cure period with Bluestone House™ Silky Patina, and you are totally happy with your piece, you are ready to wax ! Our Exclusive blend of Natural Beeswax & Orange Oil is second to none ! This is a hard wax, furniture polish, that is also FOOD SAFE !!! I recommend this to everyone - no-matter what you are finishing ! It has a beautiful an erratic sheen that simulates the uneven sheen of an authentic antique. It's durability is second to none ! And the smell is dreamy !!! honey & orange ! WOW ! 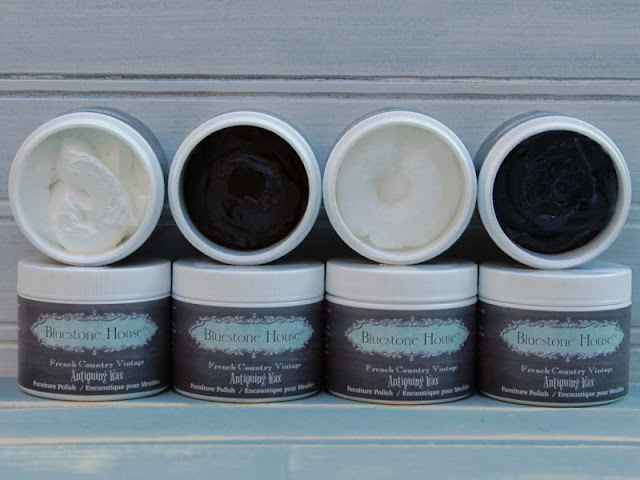 Bluestone House™ also offers a variety of Antique waxes, to enhance your patina. They are all soft waxes and are easily applied with a cloth. We recommend you wax your piece first with our Ultimate Exclusive Hard Natural Beeswax, for exceptional durability. The hard wax is applied using our waxing brush or our palm waxer. Apply only on a smoothed out surface - so be sure to lightly sand your "Chalky Patina" first. Open your wax and place the bristles of the brush on the hard wax. 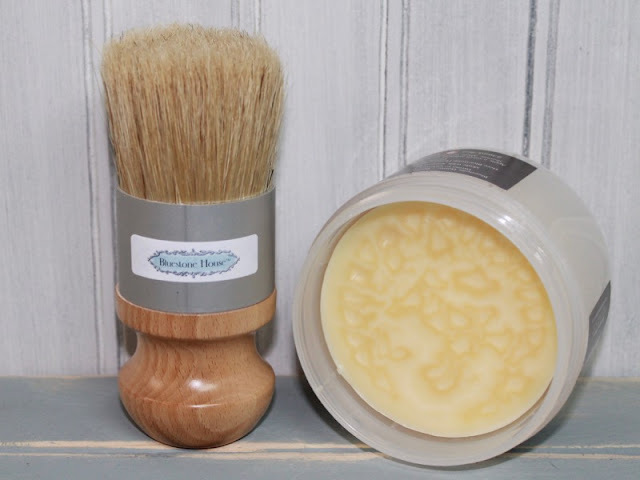 In a circular motion, load up your brush with wax - apply pressure but not so much that you are taking out chunks of wax, but enough that the brush feels tacky. Then, in a circular motion , spread the wax all over the surface of your piece. You piece should feel tacky all over. TIP: If you look at it on an angle in the light, you can see if you have been missed spots. Once you have applied the wax, one section at a time, - buff it to a ultimate sheen, using a clean buffing cloth. I like to buff in a circular motion as well. It may not be an even sheen but that's what we love about our antique look. If you would like to add a little more patina, use one of our lovely soft waxes. White Wash - leaves a white beach-like finish - clean & fun ! Coffee - dark brown, leaves a warm antique finish like that of old tobacco stains. 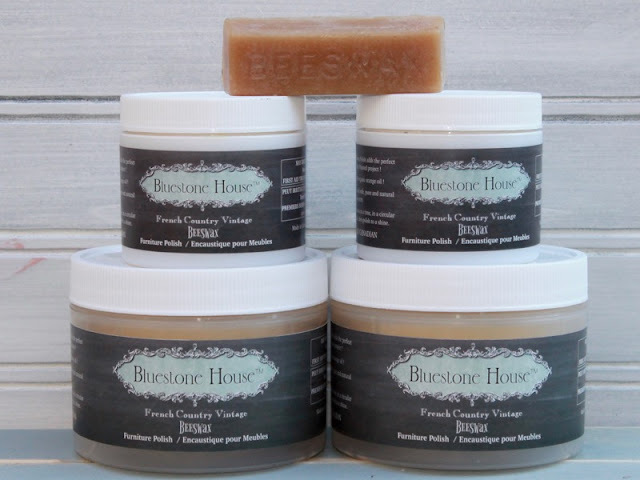 Clear Soft - clear - use this one in place of our hard beeswax for an easier application. Carbon - dark grey black, an exceptional choice for cooler combinations. Dab you cloth into the wax, using your index finger. Scoop out a little - very little, you can always grab more. In a circular motion swirl your antique wax on, covering the section you are working on. let it sit for a few minutes to dry a little, then buff the wax to work it in leaving a lovely finish and sheen with a little colour to enhance the patina. 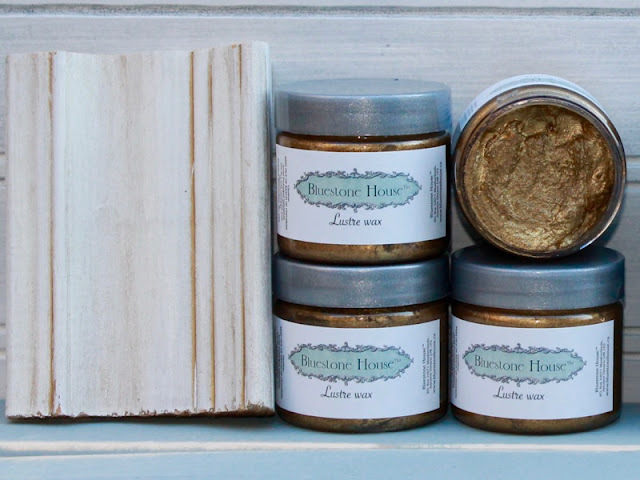 The antique waxes may also be used alone - without applying the beeswax first - it will not be as durable and you will use more of the antique wax - but it will give you more patina. There is no right or wrong - just do it until you love it ! NOW FOR SOMETHING REALLY SPECIAL !!! Apply this the same way as the Antique waxes above. We recommend you wax your piece first with our Ultimate Exclusive Hard Natural Beeswax, for exceptional durability. as always ! to find more pieces to paint !! !